The next NEML competition will take place on Tuesday, 11/10 from 2:35 to 3:35 in Schoolhouse 27. Anyone at ANY level of math is welcome to participate! The competition lasts 30 minutes and you must begin before 3:05. Calculators are allowed. 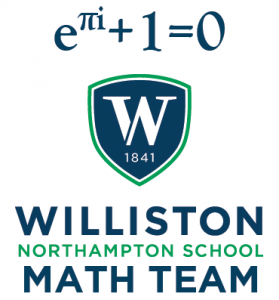 Anyone at ANY level of math is encouraged to attend all Tuesday meetings and the NEML competitions! Want to read about a rock-star mathematician? Read up on Terrence Tao!